Welcome to our website and also allow me to draw Your attention to the advantages of moving sale, and the complete implementation, which we offer for our partners! So far the mobile shop, has only been a theoretical concept? WHETHER YOU ARE A TRADEMARK OF QUALITY! 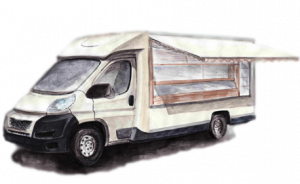 It is possible, whether new or used conversion vans as well. The solution is beneficial to our customers who have a vehicle that autóparkjában felhasználnának for this purpose. The conversion is prepared at short notice, and offers a solution to our clients who do not even think about acquiring a new car but still carried a high standard “mobile store” sold their products. Company has many years experience of manufacturing short notice, recommends full funding mozgóárusító complete vehicles, which are designed for specific course requirements are taken into account. Copyright © 2011 pintair. All Rights Reserved.